“What was that, sweetie? Did you say you asked for your father and I to die horrible deaths? Because that’s what I remember you asking for – isn’t that right, Charles? Isn’t that what Drew wanted for his birthday? Well, Drew, I’m so sorry we couldn’t oblige you this year – but maybe we WILL die horrible deaths one year soon, and then won’t you feel terrible for making that kind of request for your birthday? Well? Won’t you?" "So, hahah, here’s your birthday cake! Isn’t it lovely? I just hope that when your father and I really are rotting in our graves you’ll remember today, and you’ll think about how hurtful words can be." [smiling brightly] "Now, who wants ice cream?" At first I just saw the worms and thought "Well thats not SOO bad for a boys birthday, kids love to play in the mud." THEN I saw the skulls and protruding bones. Holy cow I hope this was a Halloween birthday because otherwise, I'm thinking the Child Protective Services might need to be called.... again. Wow, that's great! I've got to admit, though, my husband and I made a desert graveyard cake for my mom for her 50th birthday. The theme was a buzzard party. She loved it. Are you sure the kid's name isn't Damien????? PMSL! OMG the comentary really made it! Hah! This isn't the best cake, but I think that might be your best commentary. Yikes. I admit, my birthday cakes as a kid were often similar to that. But that's because my birthday is right before Halloween so my birthday parties were always Halloween themed. I had the same initial reaction that Michelle did. I thought it was just good ol' worms'n'dirt until I saw the close-up. Then, while shuddering at the skulls, I noticed the strategic placement of the bottom-most green worm. a) That skeleton is obviously a boy. b) Some cake makers are horridly oblivious. I love it when a finely-tune entry completely upstages the wreck that inspired it! i dunno, i think it's kinda cute. the legs and arms are a new twist, but the chocolate dirt and gummy worms theme is practically traditional where i'm from. I'm so confused. 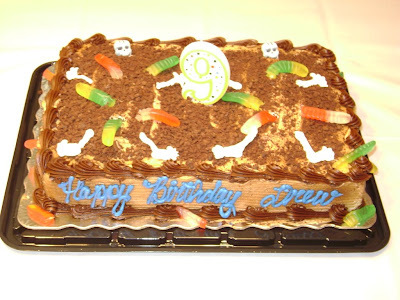 At first glance it looked like a good old fashioned dirt cake, but the skeleton bit is just confusing. Ya gotta pick one theme and go with it, you know? Actually, I have to say that my nine-year-old son would LOVE a cake like this. He (like many other boys his age) is obsessed with monsters, devils, zombies, demons, skeletons, skulls, flames, etc. Anything remotely scary, he's drawn to it. His favorite movie for about a year was "Nightmare Before Christmas" -- he even dressed up as Jack Skellington for Halloween that year! He & his dad decorate their Christmas tree with Halloween ornaments every year; they even have a matching wreath for their door, and spider-shaped holiday string lights outside the house! Yeah - I hope this was from a Halloween Birthday! Little Drew didnt even spring for caskets for his parents rotting bones! I think that my son would love this cake. It is the next level on a dirt cake and looks great. I want that cake. It's awesome!!!! I totally would make my boyfriend or me or anyone a cake like that!!! er... What does it say about me that my first thought was "Cool! I want that for my next birthday!"? it's called "dirt cake" and it's very popular amongst the male under 12 y/o set. i've never seen skeletons but i have seen it with dog bones sticking out as well as gummy worms and candy bugs. It could also be a pirate-themed party...those scurvy dogs were the only ones who knew where the presents were buried besides the Cap'n, but they'll be takin' that secret to Davy Jones' Locker! Arrr! I love the commentary! Too funny! My son would be all over skel-keton (how he says it) cakes, but this one is WEIRD. LOL! And truly - they had to get a professional bakery to do worms and dirt cake? Worms and dirt cake is the way we who cannot ice a cake properly cover up the atrocious job we did! LOL! LOL. I'm not surprised if the narrative has some truth to it. Hey, I like the cake... especially the gummy worms. the cake gets a C, the narration gets an A++! Great post! I hope your son didn't really say that to you, though... Ouch. I had ice cream cakes from Baskin Robbins for my birthdays between the ages of 8 and 12. 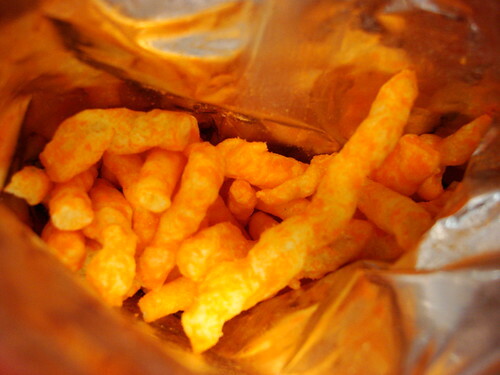 They were nice. Round, decorated with icing. Probly had some flowers on them, too. (if they treat me half as bad as how i treated my parents). Don't you remember the song about "The worms crawl in, the worms crawl out, The worms play pinochle on your snout. They eat your eyes, they eat your nose, They eat the jelly between your toes". This is the greatest blog ever!! You're so clever with your writing and I loved reading every one of them!! I think it's the age, not necessarily the gender of the cake recipient. My stepdaughter was 9 the first time I met her, and she was laying in the booth seat at a Denny's pretending it was her coffin, arms crossed over her chest. She's a lovely young lady now, with only shadows of her twisted youth. I don't think Drew is going to be the next Manson. Save CPS for the deformed babies that mothers are carving up at their showers. But your narrative was side-splitting, so keep up the suppositions! I think that cake is pretty cool, personally. My kid's name is Damien and he'd love this cake. I think it's his age. No one else would want to touch it, though. OMG you seriously cause me to laugh out loud. I soooo needed this. Love it. Great cake too. Thank you for posting this cake and narrative. I really needed the laugh. Which reminds me, I think I need to make this for my mother-in-law for her February birthday. (I know its going to be a while, but I know she's gonna make me crazy then - my son's (her first grandson's) birthday is the day after hers and according to her, its all about her, even if it will be his first b-day. Drew's mom is my hero. Sadly enough, this cake looks delicious to me. But Im only 15, and adore gummy worms. I really hope this cake was for some gothic kid with conservative parents. And he didnt even ask for a cake. The parents just figured he already looked like death, why not make it offical? That is a brilliant cake for a little gothling. XD Definitely just a creepy twist on the dirt cake. The best dirt cake I ever had was served in a toy plastic wheelbarrow with a plastic shovel as a serving scoop. I can see this happening for a Halloween birthday. Just maybe. Even that's pushing it. Creative parenting at it's best! I love this and will be passing it along! What on earth is wrong with this cake? It looks great! It's a cake for an old person. It's to make fun of them for being one year closer to the grave. You didn't get it. Anony at 6:07 on Aug 7th: "It's a cake for an old person. It's to make fun of them for being one year closer to the grave. You didn't get it." Um, perhaps you missed the number 9 sitting in the middle of the cake? Yeah, not exactly on the way to the grave, I'd think. And if it is for a 9 year old that's cheating death somehow, then that just makes it even more sick. Nice try, though! I'm going to the garden to eat worms.."
This cake was perfectly executed. oh lord, that narrative made me laugh so hard im crying. i can picture it perfectly. ahh parents. i can see that turning out exactly how you said. all i can think of is the crickets chirping in the background to cover the awkward silence the guests are experiencing as they shift in their seats going omg how do i get out of this?! I have a friend who would love to celebrate halloween year-round... It wouldn't surprise me if this was her cake for one of her kids (since she makes them obsess over the same things she does). At least, I would have thought it was hers if not for the fact that her boys are younger and neither are named Drew. While it's not my idea of a good cake, I don't really consider this to be a disaster. I'm a 20 year old female and I want this cake! Reminds me of when I was in elementary school and we took clear, plastic cups and filled them with chocolate pudding and gummy worms to simulate mud and worms. So good! Seriously...I want this for my birthday cake next month - I LOVE dirt-cake! Came here from Dawn's blog (mom2my6pack.blogspot.com). So glad she posted the link. i love this cake! lol i'd totally choose it. 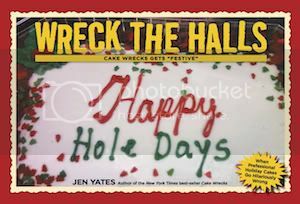 I think that some of your "cake wrecks" aren't wrecks at all! That look like a GREAT Halloween cake. I found your site earlier today, don't remember how.. but I was at work and had to stop reading because these cakes are crackign me up. This post, about the worm cake for Drew... Oh my. I'm in hysterics here! I am totally bookmarking this site! Okay...so I have been reading this backwards straight for the past few hours. And this one finally made it so I had to completely crack up and say: You are awesome!!! that narrative and then looking at the cake again? Some of my prissier friends were a little creeped out, but it became a running family joke to pull whenever new friends were coming to a party. Oh, my word -- that is *hilariously* funny! When I saw the cake, I didn't think much about it. Little boys like worms and bones and stuff like that. Then I read your commentary and couldn't stop laughing! You know what's really sad? I could totally see my mom doing this, dialog and everything. maybe that's why its not so funny to me. You are brilliant. This post made me cry with laughter. Thank you! Besides the clever narrative, I honestly don't think this is much of a cake wreck. Call me morbid, but it seems rather creative to me. It's much better than the time I was given a suspiciously red cake and told it was made with horse blood. your thick skull to buy me cake. Hey, my slice's bone dry!